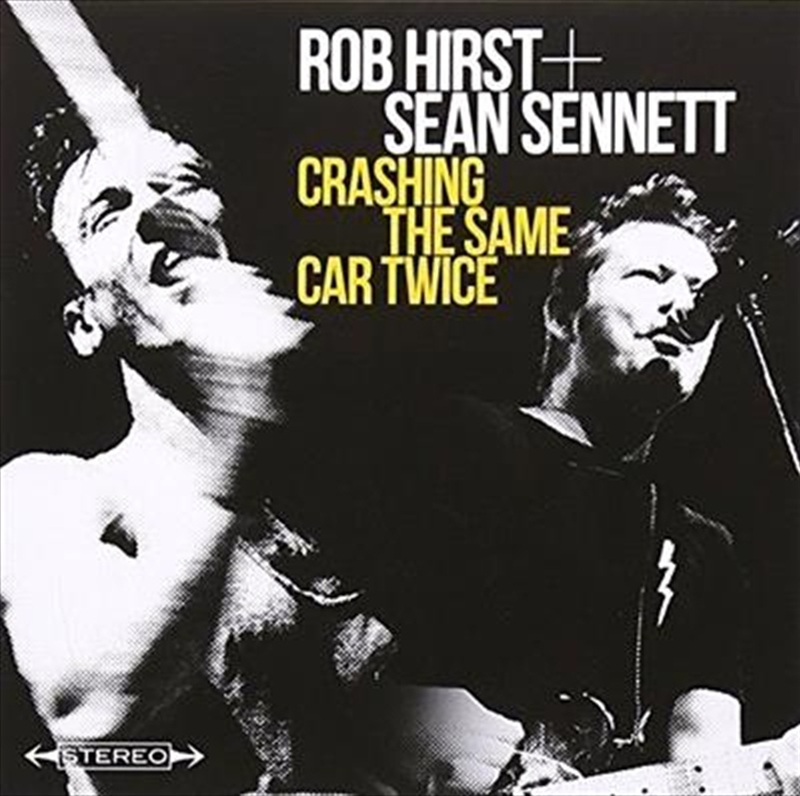 Crashing The Same Car Twice is the debut album from Rob Hirst (Midnight Oil) and Sean Sennett. The pair met at a songwriters workshop on a mountain in Victoria. They had dinner that night and wrote a song together the next day. The objectives were simple, Hirst + Sennett wanted to record a vital rock n’ roll record that didn’t shy away from melody and wasn’t afraid of adding a little grit. The results sound a little like a mix of The Seeds and The Saints. Essentially a garage rock album, Crashing The Same Car Twice, was recorded over the course of a long hot summer in Brisbane. The songs are intense and urgent. Immediate highlights include the first single, ‘When Darkness Comes’, ‘White Phosphor Fireworks’ (which sounds like a lost Midnight Oil classic), ‘Beautiful Girl (She Sleeps On Her Breath)’ and the collaboration with Radio Birdman’s Deniz Tek, ‘Call To Arms’. The songs were cut quickly. Hirst played his famous hybrid pub rock drum kit (black!) with 70’s Drouyn toms, while Sennett played a Fender Telecaster through a vintage Savage quad-box amplifier. The songs were cut in a minimal amount of takes … capturing an energy on tape that is the heart of the album. Hirst, apart from being an incendiary drummer, has previous co-written songs that are now part of Australia’s cultural fabric: ‘Beds Are Burning’, ‘When The Generals Talk’, ‘Someone’s Singing New York, New York’ and ‘The Dead Heart’. Sennett is best known for the ABC staple ‘Lost And Found’ and the Triple J favourite ‘You Broke My Heart At The Big Day Out’.